Apparently Scott Howson still isn't satisfied with his defensive depth. According to Puck-rakers, he's signed 35-year-old defensemen Ricahrd Matvichuk to a pro try-out contract. As Puck-rakers mentions, Matvichuk is no stranger to coach Ken Hitchcock. He played under him in Dallas from '98 to 2000, which included his Cup-winning year. Matvichuk is your classic, slow-prodding, stay-at-home D-man who will sacrafice any part of his body to keep the puck out of his net. The Devils didn't see a fit for him, so they let him play out his contract in the minors. If he couldn't cut it at this point in his career in that defensive system, why would he be able to under Hitch? According to some Devils fans, head coach Brent Sutter was hoping to change to a more uptempo style and decided Matvichuk wouldn't compliment it. After mixed results Sutter, quickly reverted back to the dump-and-chase—but Matvichuk was still on the outside looking in, due to the amount of defensemen ahead of him. But at this point, why not, right? Similar to Joel Bouchard last season, if Matvichuk can step in and earn a spot, so be it. It won't be easy though—not with all of the defensemen in the mix now. It will be interesting to see if Matvichuk will be willing to accept a two-way if he doesn't make the team in camp. Hey the more competition the better—it should raise everyone's level of play. Brennan spoke earlier this week to Jackets defenseman Ole-Kristian Tollefsen, who remains in Norway. Tollefsen said he is “100 percent” healthy and ready to go for camp after having surgery in April to repair a cracked vertebra in his neck. Tollefsen sustained a neck injury last preseason when he was hit from behind in an exhibition game. Tollefsen tried to gut it out, playing 51 regular-season games, but acknowledged the injury affected feeling in his arms and hands. Thinking back to last season, it's hard to imagine that Tolly played with those injuries. I mean he still fought, he hit, he took sucker punches—remember those games against Phoenix?—and he battled every game every shift. He's one tough dude. The Dispatch steps up yet again. Today Tom Reed has an absolutely fantastic read on Steve Mason and the challenges that he and his family have faced this offseason. Did you know that that there have been 24 buyouts this summer? In fact, the Jackets have the lowest one on the books—Filip Novak at $83,000 dollars. I didn't even know Novak was bought out. The sky was the limit for Brule after he was taken sixth overall by Columbus in 2005. He made the Blue Jackets out of training camp, but then sustained two serious injuries that limited him to just 34 games (seven in the NHL). Brule had no business being in the NHL at 18 years old and his fast-tracking clearly stalled his development. 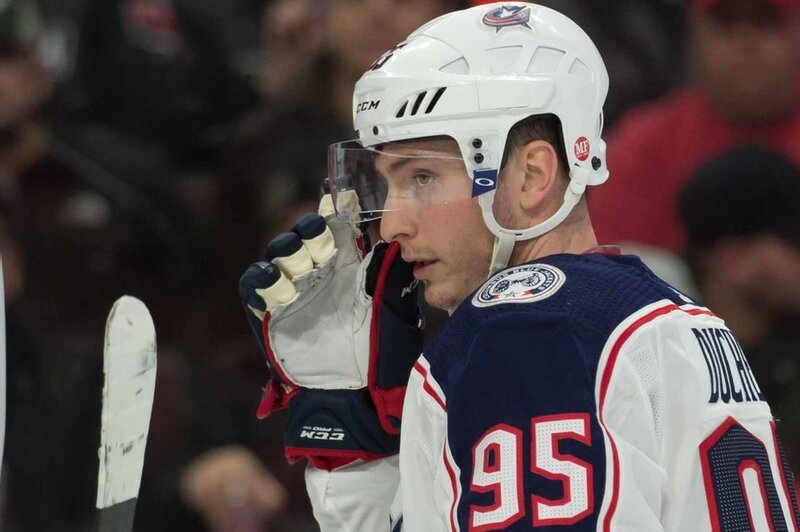 Columbus kept him again as a 19-year-old and he didn’t even play 11 minutes a game en route to a 19-point season. Things got even worse in 2007-08 and this summer he was traded to Edmonton. Still just 21, Brule is eager for a fresh start in a new environment. He unquestionably has the speed and skill to develop into a producer who can play on the top two lines. It might not happen this season, but it’s far too early to throw him out with the bath water. Certainly Brule could be one of those guys and there is aboslutely no question the likes of MacLean and co. rushed him into the lineup. 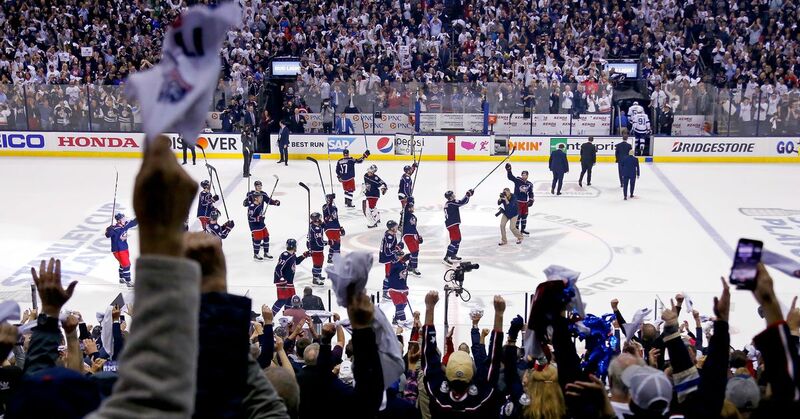 It certainly wasn't going to happen in Columbus—but who's to say it will it happen in Edmonton? Their top six—heck, their top 9nine—looks pretty set with the likes of Horcoff, Hemsky, Penner, Cole, Cogliano, Gagner, Nilsson, Pouliot and Mareau. Brule could easily find himself with fourth line minutes again as an Oiler—or he could use the change of scenery as a fresh start and play himself right up into the top nine of that team. It's in his hands and he'll have some good young players to work with. I wish him luck, just not against Columbus.